Technology has changed everything from information sharing and media to entire economic sectors, spurring enormous efficiencies in such industries as manufacturing, financial services and entertainment. Yet in real estate, builders, developers and brokerages alike have been relatively slow to adopt new disruptive technologies, especially in multifamily housing. Why real estate? It’s a relationship business, and trusted personal networks are key to finding and executing deals. But so is information, and big-ticket transactions depend on the availability and accuracy of data. Because commercial and multifamily real estate development has traditionally been the domain of private companies who develop, own and operate their own properties, data has been siloed rather than shared. To reach their target audiences effectively through the right channels, multifamily developers need to understand the demands of a market that is evolving with breakneck speed, thanks to the unprecedented and ever-increasing level of technological disruption. The escalating tech revolution in this field goes far beyond advances in data analytics, and those who hope to survive and prosper must choose and use the right tools. From aerial imagery captured by drones to virtual reality (VR) simulations of projects, innovations that were once the stuff of science fiction are now reality. More significantly, they increase efficiency, productivity and cost control. But only now is the real estate sector becoming more proactive in exploring technology-enabled approaches to improving operations, managing properties and building customer relationships, notes the accounting consultancy Grant Thornton in a recent report. Multifamily housing builders and developers must acknowledge this new reality and adapt accordingly. How? Here are four ways multifamily developers should embrace technologies that are disrupting multifamily development. Multifamily development is ultimately about closing sales, and that means building to meet buyer expectations. At ON Collaborative, we have found that everything from the site and design to building amenities and final finishes will impact how a buyer values a potential multifamily home. Builders and developers need to have a thorough and textured understanding of their targets. Market research fueled by superior data-driven analytics is key. Analytics tell us trends and patterns not only across the industry, but also in individual markets and even specific neighborhoods. These are often qualities or elements that can have significant consequences, but are easy to miss without deep and intimate knowledge of an area. For example, minute insights such as the best types of bathroom fixtures, finishes and building amenities; what kind of layouts will be most desirable; or how much lighting common areas and units will require based on likely inhabitants, can be extrapolated with predictive analytics. They justify and substantiate the big picture—and the small details that make a project desirable. It offers us the ability to determine what will sell to whom, and for how much. Expensive mistakes can be avoided by consulting the data instead of trusting instinct or personal experience. For that reason, analytics should be used to establish the costs and benefits of every decision in the development process. Thanks to rising land costs, higher interest rates and a tight labor supply in the construction industry, multifamily buildings are very expensive to build. These economic realities have squeezed multifamily developers’ margins, as Emerging Trends in Real Estate 2017 notes. At the same time, the growing complexity of multifamily development projects has made effective onsite planning, management and monitoring increasingly difficult and costly. This is especially true of the luxury condo sector, according to KPMG’s Global Construction Survey 2016. Tapping into the Internet of Things and its next-generation offerings is critical for builders and developers to diminish costs and improve returns. This includes state-of-the-art digital technologies such as jobsite dashboards that present all relevant information in one location on a building site; radio frequency ID (RFID) tags that provide wireless tracking of materials and equipment; advanced wearables, like smart helmets that let workers overlay maps, schematics, thermal images and more to see “through” solid objects like pipes and walls; e-forms to collect and share real-time data among all teams on a project site; building information modeling (BIM) software that tracks progress moment by moment; and more. 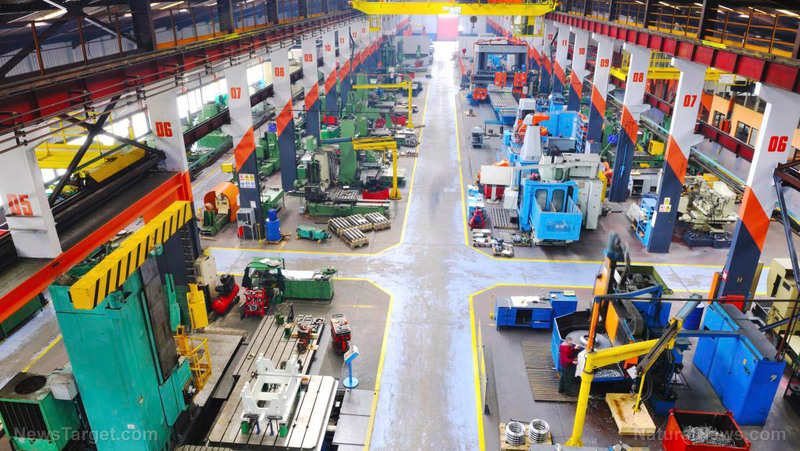 To date, the construction industry’s slow pace of technology adoption has stunted productivity growth in construction, even as other industries improved rapidly, The Economist reports. The multifamily developers that succeed in the years ahead will be those that work to identify and build relationships with the contractors that will take the next technological leap with them. Just as consumers have become accustomed to buying everything online, homebuyers and the sales pros who serve them rely on digital technology. For the former, that means they expect to do their research and see projects online; for the latter, it means that they must be fluent in the language of the various apps they need to use to service clients and make sales. For real estate pros, one of the most important technologies to embrace is customer relationship management software (CRM), marketleader.comreports. CRM tools allow users to manage their sales leads, automate processes and target new potential clients. Well-executed CRM solutions also allow them to maintain critical relationships, despite diminished face-to-face interaction. For buyers, interactive 3D photography and VR tours make it possible to see potential homes while map applications such as Google Earth allow the exploration of entire neighborhoods. VR allows potential buyers to take 360-degree “walk-throughs” of locations, sometimes on the other side of the planet, all from their own homes, while augmented reality (AR), which layers computer-generated elements over the real world, lets potential buyers visualize various furniture arrangements, experiment with color palettes, test lighting designs and more. AR also works offsite, allowing developers to produce and display interactive 3D models for buyer perusal. The writing is on the screen: To sell units, builders and developers must embrace these technologies. A recent survey of 3,350 homebuyers by online realtor Redfin shows that 30 percent of Gen-Xers, 41 percent of Millennials and 12 percent of Baby Boomers made offers on homes sight unseen. Given that Millennials are digital natives and buyers of the future, it’s clear that this trend may rise exponentially in the future. David Wolf is president of ON Collaborative, a full-service marketing and sales firm launched in 2017 by NRT. How Do I Engage With Customers on Instagram? Instagram is primarily a visual platform, used to share photos and videos. But that doesn’t mean you can’t use text to connect with customers on Instagram. One way to engage your followers is to post a photo along with a question, and prompt your customers to respond in the comments. When they do post a comment, make sure to reply back to them. Make it a conversation. You should also pay attention to what customers are saying about you on Instagram. If they post a photo with your business location or tag you in a post, you should get a notification. Go to that person’s post and add your comment. You can thank them for their business, and follow up with whatever it is they shared about your company. Like other social media platforms, Instagram works best when you create conversation and build relationships with your current and future customers. Video: How Do I Engage With Customers on Instagram? Pending home sales in March maintained their recent high level, but momentum slackened slightly in most of the country as dearth supply weighed on activity, according to the National Association of Realtors®. Only the South saw an uptick in contract signings last month. Last week the White House released what it is calling a “first draft” of President Donald Trump’s promised tax-cut plan. The outline, which fits on a single page, largely adheres to pledges Trump made on the campaign trail, as well as to the details that have slipped out in the frenzied days leading up to the announcement. The release does confirm that the president would like to preserve the home mortgage interest deduction, while doubling the standard deduction—two points of particular interest to homeowners, buyers and the real estate industry at large. 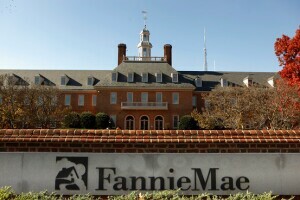 As it stands now homeowners can deduct interest paid on mortgages with values up to $1.1 million. This deduction lowers the amount of income a person needs to pay tax on and, in effect, lowers the cost of owning a home. (It was not immediately clear if Trump intends to change the cap.) In 2014, 32 million people claimed $279 billion in mortgage interest deductions. That’s about $8,718 in deductions each for a savings of $2,173, according to the National Association of Realtors. The mortgage interest deduction is one of just two the proposal promises to protect. The other is for charitable donations. Both popular deductions can only be taken if a taxpayer itemizes. If not they take the standard deduction, which for an individual was $6,300 in 2016 and is adjusted annually for inflation. Under the proposal the 2016 deduction would have been $12,600. Unlike most other industries, in the new home construction business, the builders have lower warranty expense rates than many of their suppliers. But the makers of appliances and heating/cooling systems are now cutting their costs and narrowing the gap between their expense rates and those of the makers of fixtures, furniture, and building materials. While suppliers generally have lower warranty expense rates than the name brands facing the end user customer, things are a bit different in the building trades, where appliance and heating/cooling system manufacturers have the highest expense rates of all. New home builders are in the middle, with the companies supplying them with building materials, fixtures and furniture lowest of all. For the homebuilders, warranty expense rates have generally remained below 1.0%, except for those lean years between 2007 and 2012. And while they had their problems with mold, leaks, and smelly drywall during that period, the elevated expense rates had more to do with low sales than high costs. That’s why, in Figure 5, the claims rate rose while the accrual rate didn’t. If there are no sales, there’s no need for accruals. But even when current-year sales fall, claims have to be paid for past-year sales. In the past year, Hovnanian saw its claims rate fall significantly, while PulteGroup, Taylor Morrison Home, and NVR saw more modest decreases. All saw double-digit sales gains. At the other extreme, Lennar, Toll Brothers, and M/I Homes saw modest increases in their claims rates, while Beazer Homes saw its claims rate rise from a worrisome 3.6% to a painful 4.4%. Still, the company kept its accrual rate at a steady 0.8%. Among the dozen largest builders, in fact, accrual rates changed hardy at all. The exceptions were Cavco Industries, which raised its accrual rate from 2.7% to 3.0%, and Hovnanian, which cut its accrual rate from 1.6% to 1.3%. But since sales are rising so quickly for most of them, even if the percentage rates remain the same, the total dollars accrued will rise, as was seen in Figure 2. It takes just a few hours every week to keep your Facebook page full of fresh content. Learn how to market your small business without wasting your time. According to the Pew Research Center, 68% of all U.S. adults use Facebook. In other words, your customers use this social media platform, so if you want to engage them online, your business should, too. Take advantage of scheduling tools. Smith added that small business owners should take advantage of a social media scheduling tool such as Hootsuite, Buffer, PostPlanner or Edgar. That way, you can schedule your posts in advance, instead of stopping in the middle of the day to update Facebook. Facebook also allows you to directly pre-schedule posts. Housing starts were up 3% to a seasonally adjusted annual rate of 1,288,000 in February, 6.2% ahead of the pace of the same month last year, the Commerce Department reported Thursday. Single-family housing starts surged 6.5% to a rate of 872,000, 3.2% ahead of the pace of a year earlier. The February rate for units in buildings with five units or more was 396,000, down from 429,000 in January. 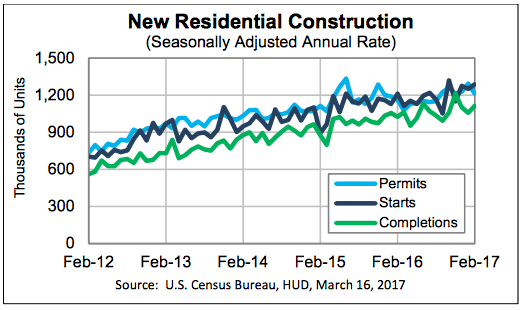 Building permits in February declined 6.2% to a seasonally adjusted annual rate of 1,213,000 but remained 4.4% ahead of the February 2016 rate of 1,162,000. Single-family authorizations in February were at a rate of 832,000; this is 3.1% above the revised January figure of 807,000. Authorizations of units in buildings with five units or more were at a rate of 334,000 in February, down sharply from 457,000 in January. Housing completions in February were at a seasonally adjusted annual rate of 1,114,000, 5.4% above the revised January estimate of 1,057,000 and 8.7% above the February 2016 rate of 1,025,000. Single-family housing completions in February were at a rate of 754,000, 6.5% below the revised January rate of 806,000. The February rate for units in buildings with five units or more was 344,000, up from 247,000 in January. The Fannie Mae Home Purchase Sentiment Index® (HPSI) increased by 5.6 percentage points in February to 88.3, a new all-time high, the Government Sponsored Enterprise said Tuesday. Five of the six components that comprise the HPSI were up, and three hit record highs. The net share of Americans who reported that now is a good time to buy rose 11 percentage points, while the net share who believe that now is a good time to sell rose 7 percentage points. Consumers also demonstrated greater confidence about not losing their jobs, with the net share rising 9 percentage points. On net, the share of respondents reporting that their household income is significantly higher than it was 12 months ago increased 4 percentage points. Additionally, more Americans expect home prices to go up, with the net share rising 3 percentage points. The net share of those who think mortgage rates will go down over the next 12 months remained unchanged for the third consecutive month.